Life is a supernova of emotions, a multi-colored extravaganza and a celebration of colors that carve a way for us to be "expressive". These colors often vary from situation to situation. They may be vibrant, bright and attractive, or even bland and gloomy. Nevertheless, they invoke the soul from within and portray the various dimensions of life. 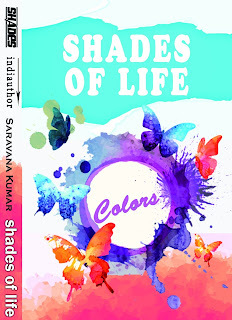 Come and explore the various shades of life - from the lighter tones of friendship and love to the murkier hues of revenge and murder - of human beings, of how their personalities and their situations mould them into their real selves - in this anthology of prose and verse, from authors across the world, Shades of Life. This book starts with a poem by Neelam Saxena Chandra who is one of the guest authors, the other being me. I think it would be unfair for me to review her work. She has been featured in Forbes 100 most influential people list very recently and according to me her work is beyond words. I would start with the poems first and then subsequently move on to review stories clubbing 4 of them in each review post to be able to comment on all the nuances of them. The poet has managed to capture the beauty of nature in his words very nicely. It is a poem that is bound to make you imagine those scenes as they come alive before your eyes and make you pine to be amongst the nature. Mystery of life has finally been unveiled here by the poet in his colourful verses. I really enjoyed reading life as he saw it and the various colours that were created with his words and their impact on a reader. Both the poets have taken few colours and shown how one colour can depict so many things differently for different people. Written in a very lucid fashion what touches the heart is the simplicity in those verses along with its strong message. Many times in life we are faced with the question How to live our lives? That is exactly what the poetess tries to show us in her words. Immensely powerful and heart tugging, this poem will make you smile with its hidden message for the reader. Well, after all the poetess is called the queen of anthologies! Romance and nature, both are beautiful and have the power to change your mood instantly. That is how this poem can be best described, an instant mood-lifter with its subtle romantic hints and beautiful descriptions of nature along with it. In life we learn lessons in various forms and in this poem the poetess learns lessons from the sea. She has managed to break the enigma associated to seashore as she simplifies the lessons of life that it brings along for us in every wave. A personal favourite poem from this collection, this poem talks about the ups and downs of life. What I loved the most about it was the way the poet beautified pain in his words not for a moment making you feel bad about it. A deep love story is what this is! The mystery of love comes alive in this touching poem. I liked the way she described the couple through colors that is how we all are- a handful of colours. Yet another favourite from the collection purely for the depth it holds in those words and the way it tugged my heart. Longing, unrequited love, pain and a broken heart that is what is embellished in blue. Poignant and soul stirring the poetess does make you choke with emotions as you reach the end. Needless to add, it does make to my favourites list! If you have ever wondered about the story behind a rainbow then this poem is just the answer you have been looking for till now. The poem as the title suggests is an ode to life and the various colours it brings along some dark and unwanted while some bright and so badly wanted. Read this one to bask in those colours. Written straight from the heart the poetess tells you what the real meaning of life is in her words by depicting the various hues of life. Her writing is effortless and that is what makes it stand out. The poet takes you along his journey of walking on the path of life making you aware about all that he comes across and leaves you perplexed at the end with his experiences. A immensely moving poem, this one is something that is very deep for words. 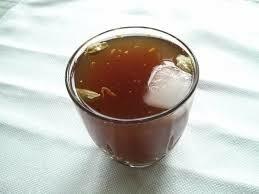 This book is like panakam - sweet and refreshing on a hot summer afternoon! Thank you so much, Privy! I shall feature each and every review on our page! Thanks so much Sarav for such a wonderful treat of a book!